Public Fund Administrator, The Baldessin Press and Studio Inc.
Michael Fox is the Principal of Michael Fox Arts Accountant & Valuer and the Director of Fox Galleries. He is a certified accountant, fine art valuer and art collector. He holds a Master of Tax from the Melbourne Law School, University of Melbourne. Fox is a member of the Auctioneers and Valuers Association of Australia AVAA and is a Fellow of the Institute of Public Accountants. Since the 1990s Michael has worked with artists and creative industry professionals to manage their tax affairs utilising his specialised knowledge in business taxation, GST, cultural gifts, income averaging and more. In 2006 Fox established and ran the Queensland division of the national startup Joel Fine Art until its sale to the international auction house Bonhams in 2008. 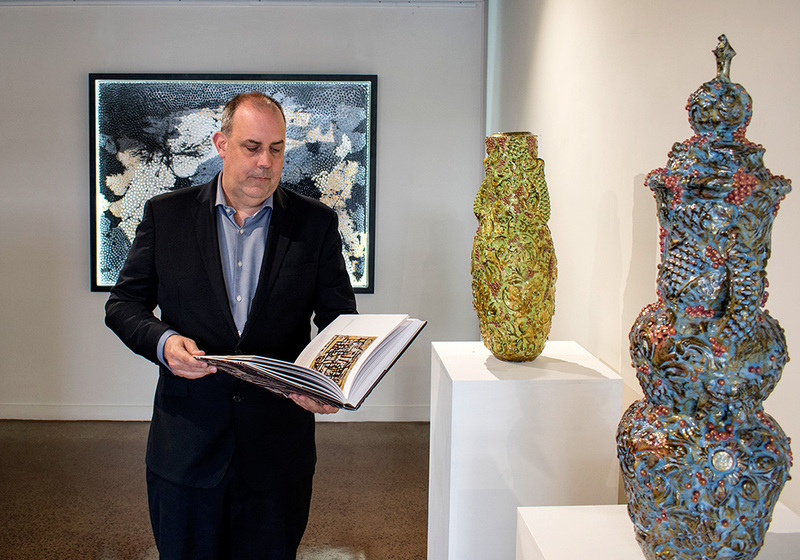 At Joel Fine Art Fox sourced and sold important artworks including Ancestors at Milmilingkan by John Marwundjul, which set a record as the highest sale price for an Aboriginal bark painting. He also worked with the Charles Blackman Trust to present a sold out private treaty exhibition of works from the artist’s studio spanning 40 years. From 2009 to 2011, Fox was the Australian Art Market Advisor to Lowensteins Arts Management, Melbourne. In 2010 Michael ran the successful Save Super Art campaign that prevented the proposed ban on artwork investment by super funds. In 2012 Fox established Michael Fox Arts Accountant & Valuer. He completed his Masters in Tax from 2012 to 2015. In 2015 Fox co-founded Outlaw Gallery along with Barry Tate in Warrnambool, which provides art therapy classes for the disabled community of Western Victoria. In 2016 Fox re-established Fox Galleries and relocated his practice to Collingwood, Melbourne. In 2017 Fox became the Public Fund Administrator of the The Baldessin Press & Studio Inc.